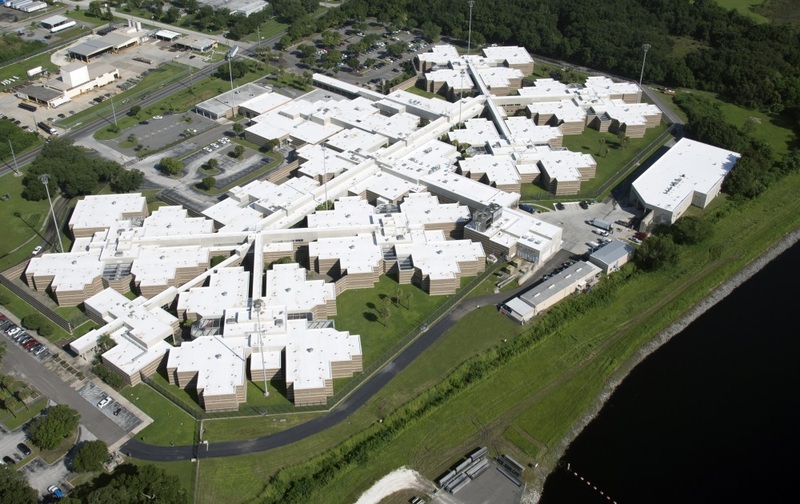 Winners of the 2015 Sika Sarnafil Project of the Year Competition include the Orient Road Location of the Hillsborough County Jail in Tampa, Fla., the Bartlesville Community Center in Bartlesville, Okla., the Alpha Alabama Apartments in Tuscaloosa, Ala., and the ALDI Distribution Center in Moreno Valley, Calif. Ideal Building Solutions of Norcross, Ga., took home first place in the Waterproofing Category for its work on the Alpha Alabama Apartments in Tuscaloosa, Ala.
Each entry is judged on project complexity, design uniqueness, craftsmanship, and creative problem solving. We salute the winners for their dedication to the roofing industry and installation excellence. Winners of the annual Contractor Project of the Year competition were announced today by Sika, the worldwide market leader in thermoplastic roofing and waterproofing membranes. A winner and two finalists were recognized for outstanding workmanship in four categories: Low Slope, Steep Slope, Waterproofing and Sustainability for projects completed using a Sika thermoplastic membrane for roofing or waterproofing applications. Service Works Commercial Roofing, Inc., of Tampa, Fla., won first place for installing a massive Sarnafil® EnergySmart Roof® on the Orient Road location of the Hillsborough County Jail system. This 417,700-square-foot facility boasts 17 buildings with 152 separate roof sections, all secured within a 12-foot fence with razor wire. The second place winner was Sylvester Roofing Co., Inc., of Escondido, Calif., for the CAPS Unit on Rady Children’s Hospital in San Diego, Calif. Third place went to Greenwood Industries Inc., of Worcester, Mass., for the pristine New Balance World Headquarters in Boston. 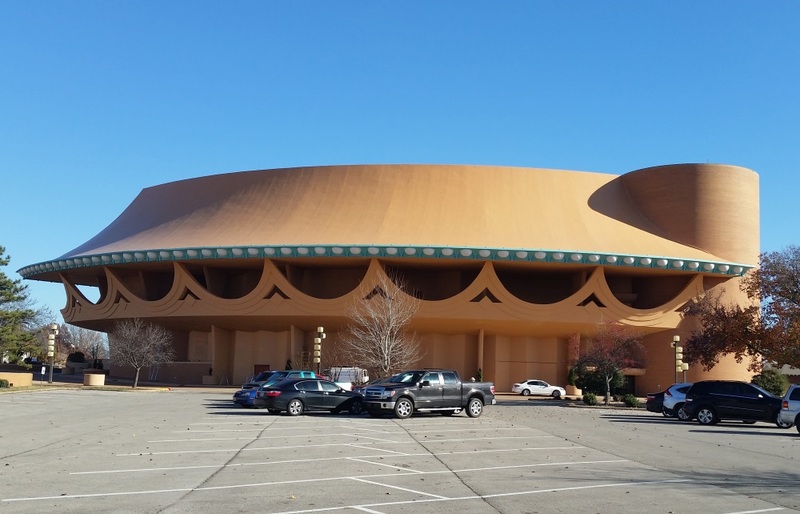 Hi-Tech Roofing Systems of Sand Springs, Okla., was awarded first place for its work on the Bartlesville Community Center in Bartlesville, Okla. This project called for some ingenuity due to the building’s vertical curves and steep slope, but it ended in success thanks to a Sarnafil G410 membrane in custom color Teddy Bear Tan and some impressive work from Hi-Tech. BEST Contracting Services, Inc., of Gardena, Calif., was the second place finisher for the air traffic control base at Los Angeles International Airport. Bonitz of Georgia of Savannah, Ga., was the third place finalist for the Matilda Harris Elementary School in Kingsland, Ga. 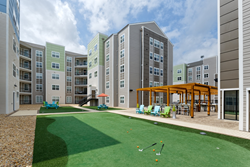 Ideal Building Solutions of Norcross, Ga., took first place in the Waterproofing class for its superb work on the Alpha Alabama Apartments in Tuscaloosa, Ala. The company utilized the Sarnafil G476 waterproofing membrane to help create an amazing courtyard for University of Alabama students, complete with a putting green, grilling station, workout area, swimming pools and seating areas. The second- and third-place projects are both out of Chicago. A-1 Roofing Company of Elk Grove Village, Ill., took second for The Lofts at River East, while Korellis Roofing, Inc., of Hammond, Ind., took third for the Chinatown Branch of the Chicago Public Library system. 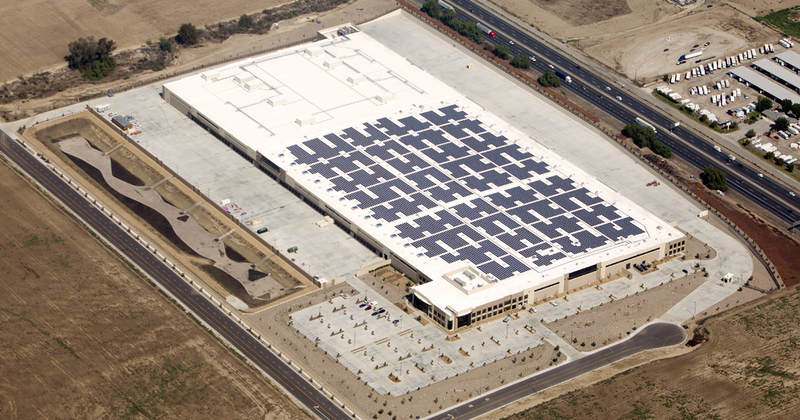 In the Sustainable category, Red Pointe Roofing of Orange, Calif., won for the ALDI Distribution Center in Moreno Valley, Calif. This enormous, 800,000-square-foot cold storage building consists of eight different climate zones and features a 2.5MW photovoltaic solar array on the roof. In second place was HRGM Corporation of Washington, D.C., for the Frank W. Ballou High School, a LEED Silver project also in the District of Columbia. In third place for this grouping was Western Single Ply of North Las Vegas for the Nevada State Veterans Home in Boulder City, Nev.
More than 30 contractors from around the U.S. submitted projects for evaluation in the annual Sika Sarnafil Project of the Year competition. First place winners were awarded cash prizes, recognition at an awards dinner at the International Roofing Expo and marketing support in the form or advertisements, social media and public relations.